One of the most common complaint found on any popular recording forums is the mixes don’t translate. If you are recording a song, spend hours in mixing yet it still sounds completely different this is because of one plagued issue – different set of speakers. The cure? Select accurate studio monitors. There are hundreds of questions about the product but we are summarizing them into the most common five that will surely give you some really important hints before taking a purchase. 1. What are the most essential and desired factors that should be thought of buying a monitor? Buying a monitor is one of the most crucial decisions every recording studio possessor might experience. Well, shed up some light and consider the following factors. You don’t want studio monitors to always lie to you, don’t you? A pair of monitors that have flat frequency response will not boost or cut certain frequencies. 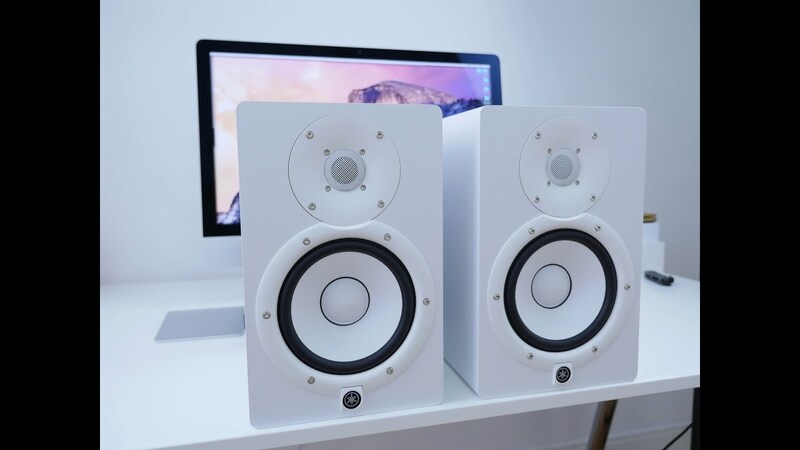 So, flat studio monitors will give you a clean slate for you to build good mixes. You may go for cheaper monitors because they are tending to be less flat than those expensive ones. The flatter, the better. How big your studio monitors should be? Most engineers recommend for bigger monitors. The bigger the monitors the better low frequencies reproduction. The lows of the sound can be the problem when it comes to mixing. The monitor size must correspond to the room size. This is how the size matters. Passive and active are the two types of a studio monitor. Bear in mind that passive monitors have an independent power amp while active monitors have its own one being packed with. Understanding the differences between the two can help you make a wise purchase decision. Not all studio monitors have the same power system. This factor should not be underestimated because power handling can really affect sound quality. If you go for more power, you will get clearer and louder voice. 2. Is it possible to connect a studio monitor directly to my laptop without any studio interface? For direct to the point answer, it is yes. All you need is a cable. Remember that most studio monitors have cable wires along with it. Just use the unbuilt Mac audio out with a splitter lead is it is for noncritical listening. However, to take a digital signal from the MB pro, you will need an extra converter with SPDIF input. 3. How important the frequency range is and what is an ideal frequency range? The frequency range or response is useful to trick potential customers. It seemingly speaks a lot about the manufacturer’s curiosity. But when it comes to monitoring quality, the frequency range is near to nothing. The best frequency range is the tightest. Ideally, it is -inf Hz to inf Hz (negative infinity Hz to infinity Hz). It all depends on how it was measured. 4. Can a monitor be connected to an external sub- woofer directly ? How ? With a subwoofer, you can reach the lower frequencies that your studio monitors can’t. It is necessary to produce great music. See first if there are some options on the external sub and monitor to connect directly together. If your monitor has outputs to go into your sub then all you need to do is to connect them. If not, you need an interface. An audio interface allows you to connect various kinds of signals and outputs variety of signals as well. 5. What makes studio response different from all other speakers? If you care about how your mixes translate, look at good sets of nearfield monitors. It will give you a great reference point to your mix. Good placement and position of monitors will provide you a better response than any other speakers. There are a few things you may want to look into. Choosing between ported and sealed enclosure speakers also matters. Sealed enclosure monitors produce more accurate and tighter bass response than those ported ones. The frequency range or flatness should also be considered. How low the bass goes and the error margin can affect the quality of the sound being produced.